Paul is a specialist in inner-guidance. With expertise in East-West meditation disciplines, dreamwork, mind-body-spirit harmony, higher creativity and eco-spirituality, Paul has listened to and guided youth, adults and our elders for over forty-eight years about their life goals, desires and wishes. He has guided individuals in their heart-and-soul issues, as they sought to align their life direction with spiritual direction. Paul draws upon his honed intuition, his inner-guidance, knowledge and experience in mentoring and guiding others. His work is to help others turn on or refine their intuition, and knowingness, for their personal inner healing, soulful empowerment and their soul's inner guidance for life transformation. 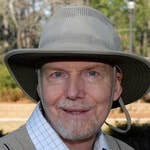 Presenting at international dream conferences and conducting seminars, classes and retreats, Paul is recognized as a gifted storyteller and integrator. Of special interest is Paul's work in healing through meditation, inner-harmony and eco-spirituality, drawing upon the universal principles of East-West healing science and dream-shaman healing traditions. Paul's presentations on cross-cultural studies of Western dream theory and science – especially transpersonal and Jungian – as well as Eastern yogic and indigenous dream theory and principles have the intention and purpose of bringing, into contemporary circles, modern approaches of time tested spiritually-based healing and dreaming practices, integrated with insight-depth meditation. To this goal of integrating and sharing Eastern, Western and indigenous dream principles and potentials for the general public he wrote his ebook The Shamanic Dream, which presents the Integral dynamics and synthesis of dreaming, creativity, mysticism, healing and eco-spirituality. Paul Overman's Masters Degree in Clinical Psychology is from the University of Dayton. His Ph.D. in Integral Counseling Psychology – under mentorship and directorship of Paul Herman, Ph.D. – is from the California Institute of Integral Studies (CIIS), San Francisco. Dr. Herman, founder of Integral Counseling Psychology, became one of Paul's key professional mentors in guiding and mentoring others. Paul's studies at CIIS of the Integral Yoga of Sri Aurobindo became a life long inspiration for the understanding consciousness, dreams, mysticism and the yoga of health and longevity, from an eco-spiritual perspective. At CIIS, Paul also studied Theravada-Vipassanā meditation under Rina Sircar, currently Professor Emerita of Asian and Comparative Studies, through her classes, with particular focus on healing meditations and assisting the dying. During his studies at CIIS he was greatly influenced by the pioneering consciousness work of Stanislav Grof, MD. Paul's pre-doctoral internship was under mentorship and directorship of Abdul Dalal, Ph.D., editor and author of numerous books on Integral Psychology and Integral Yoga, including The Yoga of Sleep and Dreams. With over 45 years of professional continuing education, Paul has been especially influenced by Psychosynthesis, Jungian theory and principles, and Psychegenic imagery training, grounding them and synthesizing them into his Integral Shamana Dreamwork and Shamana Meditation protocols and teachings. Paul's Cross-Cultural Research and Development of "The Shamanic Dream"
Since his work is rooted deeply in the work of yoga master Sri Aurobindo, Paul calls his research and approach Integral Dream Yoga, or as Paul also calls it, Shamana Dream Yoga – due to Paul's dream-healing work synthesizing Integral Yoga and dream shaman traditions, such as that of Desert Cahuilla Medicine Woman Ruby Modesto and her tradition, and that of of Dakota/Lakota dreaming traditions, as well as other indigenous traditions. ​An Integral Dream Yoga is a spiritual-life transformation practice embracing all of life and its transformation, assisted by dreaming under guidance of the inner self, or soul. The name Shamana Dream Yoga suggests a deeper integration and synthesis of dreaming practices with meditation practices and eco-spirituality, an approach to life Paul calls "samana" or “shamana” – for harmonizing mind-body-spirit, aligning life direction with spiritual direction. Paul initially and formally studied Integral Counseling Psychology and Eastern philosophy in 1978 at the California Institute of Integral Studies (CIIS). As studying traditional Western, Jungian and Transpersonal Psychology approaches to dreams at CIIS, he was drawn to Eastern dreaming knowledge and practices to understand his deepest, most profound dream experiences. These early studies culminated in his doctoral degree in 1982 from CIIS and with East-West and Integral Yoga Dream theory and principles being a major focus. At the time of his graduation, Paul traveled to India (summer, 19820 to study yogic-meditation under a spiritual-meditation master, and grew this initiation into a life long connection and practice. Paul's Integral dream research and yogic dreaming evolved into his first formal presentation on Integral Yoga and dreams, an East-West Perspective at Klamath Falls Mental Health Center in 1981. He later presented this work for the general public in Ojai, CA, in 1983 at a healing retreat center; and then again at his first presentation for the International Association for the Study of Dreams' (IASD) 2nd International Conference. Since then, Paul has been working with individuals, small groups, and giving further presentations on various applications of Integral Dreamwork for lay persons and professional therapists and counselors. Over the years, Paul has presented at IASD integrating principles of East-West dream theory, rooted in the work of Sri Aurobindo and other yogic traditions, integrating. Paul introduced his research and integral approach to lucid and mutual dreaming in his presentation “The Shamanic Dream” at the 27th Annual Conference of the International Association for the Study of Dreams in June 2010 at Asheville, NC. 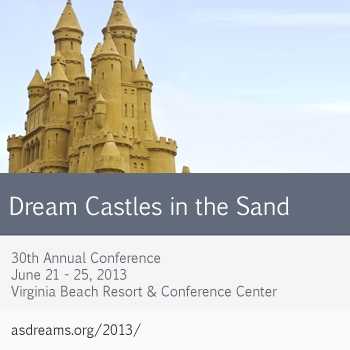 In June 2012, in his presentation on “The New Dreamer: Traveling on the Waves of Consciousness” in Berkeley, CA at the 29th Annual Conference of the International Association for the Study of Dreams, he introduced his research, work and method of The Five Directions™, a waking dream protocol for receiving insight; creative-inspiration; and inner-guidance, based on ancient Eastern and indigenous traditions of contemplation and guided consciousness expansion. 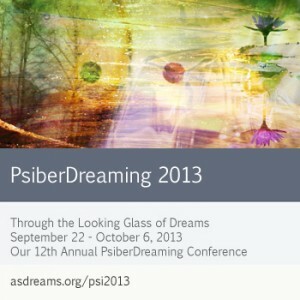 Paul presented an Integral theory and principles of healing dreams, Healing Dream Trance, at the IASD 2013 Conference in Berkeley, CA, in a panel on Dreams and Health. Paul has authored a number of audio programs including Inspired (currently out of publication), and his CD-series Peaceful Retreat. His guided meditations—taught in groups, mentored individually, and recorded in his audio programs — are based on universal mind-body-spirit contemplations called, in the East, dharanas. A forthcoming book, an expanded edition of his The Shamanic Dream goes into greater depth of his work. 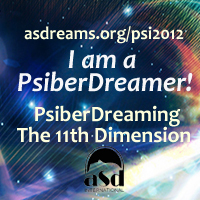 ​Paul is a member of the International Transpersonal Association (ITA), and Spiritual Directors International (SDI). Paul provides educational programs, mentoring, training, publications and eco-spiritual retreats, within an Integral approach to the fields of creativity, dreams, meditation and eco-spirituality. ​The Integral “educational principle” embraced is that nothing can really be taught by another, since true teaching is assisting the other to discover their own "knowingness" or insight of self, nature and inner powers of consciousness to transform one's life and the world. Paul presented his first IASD presentation, on Integral Dream Yoga and "samadhi of the dream" state in 1986, titled "Sri Aurobindo and a New Model of Dream Consciousness." He presented his first presentation on the "Shamanic Dream" at the 2010 IASD Conference at Crowne Plaza Resort, Asheville, NC. Below are following presentations Paul gave for IASD yearly conferences at various locations, or for IASD online PsiberDream conferences.